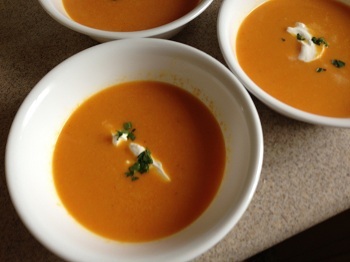 Adapted from a recipe on foodnetwork.com, this is a nice light summer soup. We made it with low-fat milk, and it was fine, but it would probably be better made with cream. We had some left over and served it the next day cold, which was also good. If you don’t like a strong ginger flavor, use a little less ginger. In a 6-quart pan, over medium high heat, melt butter, add onions and cook, stirring often, until onions are soft. Add broth, carrots and ginger. Cover and bring to a boil. Reduce heat and simmer until carrots are tender. Use an immersion blender to puree the soup. Add the cream and stir over medium heat until the soup is hot. Add salt and pepper to taste. Ladle into bowls and garnish with a dollop of sour cream and chopped fresh parsley. We finally had enough kale in the garden to actually make something. I’ve eaten some good kale salads but never actually made one, so I hit the ‘net in search of good recipes. This one was posted by Aarti Sequeira on the Food Network website in 2010. It was easy and delicious! Place the kale in a large serving bowl. Add half the lemon juice, a drizzle of oil and a sprinkle of kosher salt and “massage” the salad with your hands until the kale starts to soften and wilt, about 2 to 3 minutes. 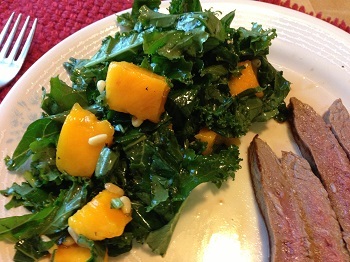 Pour the dressing over the kale, and add the mango and pumpkin seeds or pine nuts. Toss and serve. 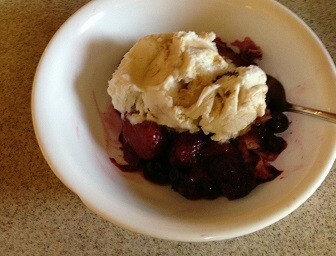 With summer berries so plentiful and relatively inexpensive right now, here is a great recipe for a summer dessert. Two things surprised me when I made this recipe. The first was that it was from the New York Times, where recipes tend to be complex or made with hard-to-find ingredients, and this one was very simple. Then I realized, as I purchased the loaf of super-puffy supermarket white bread that it calls for, that I hadn’t made such a purchase in many, many years. Even before we (meaning my husband, Joe) started baking almost all our bread, we would buy bread from local bakeries, not from the supermarket. On the rare occasions that we bought packaged bread from the grocery store, it would be something with lots of whole grains and seeds in it. So I was surprised at just how soft and spongy supermarket white bread is. Like me, you may be tempted to sneer at this kind of bread, but it’s what you need for this recipe. You can use up any leftovers in French toast or cinnamon toast. Combine the berries, sugar and ⅓ cup water in a saucepan. Simmer over medium heat until sugar is completely dissolved and the berries release their juices, about 7 to 10 minutes. Stir in the lemon juice. The sauce should be sweet with a hint of tartness. Add more sugar or lemon to your taste. Stir in the rosewater if you use it. 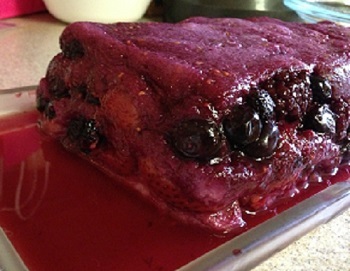 Spoon an even layer of berry syrup (not the berries themselves) over the bottom of an 8-inch loaf pan or a medium-sized bowl. Line the bottom of the pan or bowl with a single layer of bread; cut the slices into smaller pieces as necessary to make them fit. Spoon a third of the fruit on top of the bread, making sure the bread is completely covered; top with another layer of bread. Repeat twice, alternating layers of fruit and bread and ending with bread on the top (so you’ll have four layers of bread and three layers of fruit). Let the mixture cool completely, then wrap tightly with plastic wrap; the wrap should rest on the top of the pudding. Place a light weight on top of the pudding (e.g. 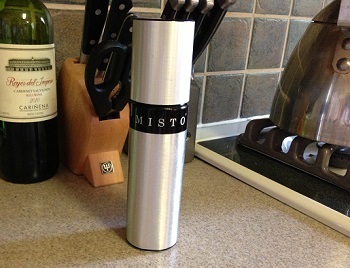 a couple of ceramic mugs or small cans if you’re using a loaf pan, or a small plate if you’re using a bowl). Refrigerate at least 6 hours or overnight. When ready to serve, run a knife around the sides of the pudding, cover it with the serving plate and then turn it over to unmold. It should slip right out of the pan or bowl. Serve in slices with cream, whipped cream or ice cream on top.